So an illegal immigrant knocks on your door . . . 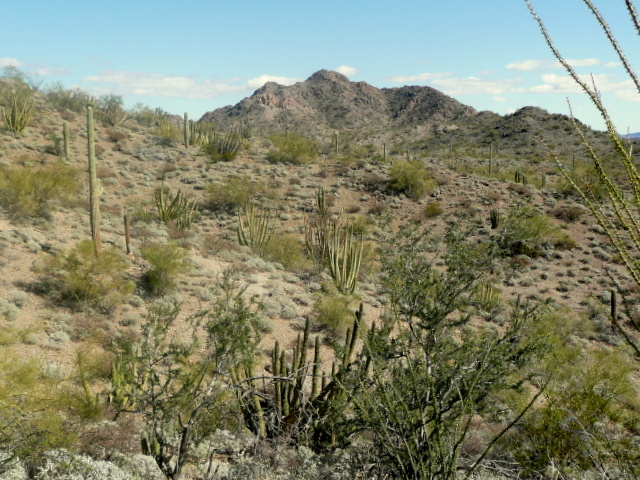 Yesterday a couple who are camped in the desert off of Darby Well Road near Ajo, Arizona, about forty miles north of the border with Mexico, faced that question. They hear a knock at the door of their RV. Outside looking in is a thirsty, hungry man who speaks no English. He’s obviously tired and desperate. Imagine it’s you looking back at him. Do you see him as a weary traveler who has the courage and initiative to traverse a thousand, maybe two thousand miles seeking a better life for himself and possibly for his family? Or do you figure he’s a criminal about to attack you, possibly quite violently, and steal from you? Do you give him water and food? Do you hand him a blanket or a sleeping bag to help him get through these cold night-time temperatures dipping into the 30s? Do you hand him a pack of provisions and wish him Godspeed? 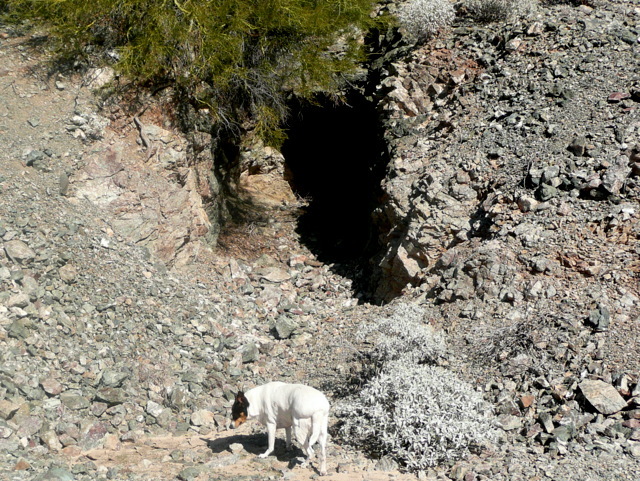 Suppose you provide water, food, and warmth for this man, and then ten, twenty, maybe thirty more people come out of the canyons, caves, hills, and washes looking to you for the same help. What then? Or would you flick the lock, grab your cell phone, and call Border Patrol? Do you assist Border Patrol in tackling the overwhelming job set before them? Or do you subvert the efforts of our own law enforcement officers? 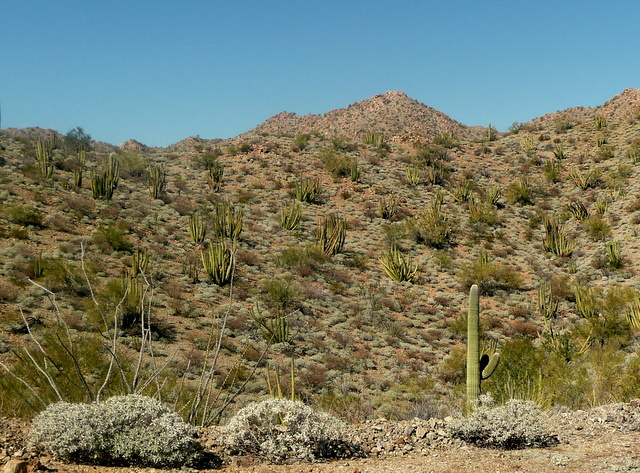 The Sonoran Desert is a popular destination for people wanting to escape the cold during the winter months in an area of scenic beauty. We don’t come here to deal with hard decisions, the kind of decisions where “you’re damned if you do, and you’re damned if you don’t.” For compassionate people with a respect for the laws of our country, it’s a moral dilemma. People on both sides of this issue make valid arguments. If you help the illegal immigrant, you hurt your country and your fellow Americans. If you don’t aid the illegal immigrant, you leave another human being to face misery and possibly death. The couple I mention at the start of this post made their decision. I’m not going to reveal who they are or what decision they made. Although it would make for interesting blog reading, this is the kind of emotional and potentially explosive topic that would set them up for a troll’s verbal attacks. Suffice it for me to say, they’re good people who made the best decision they could. And I still don’t know if their decision is right or wrong. I do know it’s something for boondockers to ponder. If you camp out in the desert of the Southwest, one day you may have to make this tough decision while someone waits at your door. Are you ready? 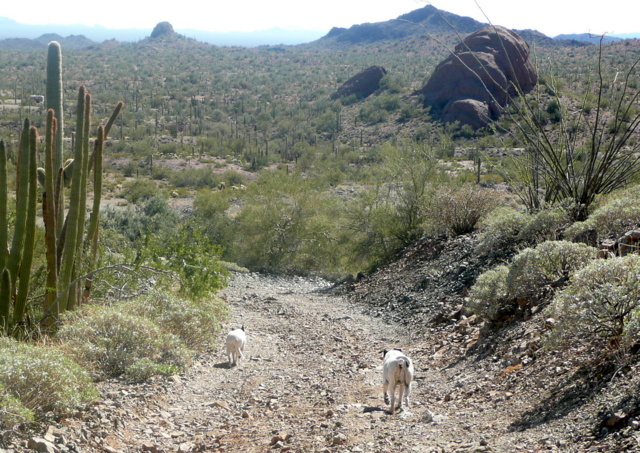 This entry was posted in Simple living and tagged Ajo, boondocking, border patrol, Darby Well Road, hiking, illegals, immigration, organ pipe, rat terriers, RVing, Sonoran. Bookmark the permalink. 137 Responses to So an illegal immigrant knocks on your door . . .
Our group purposefully left a cooler on the table outside when we weren’t already sitting outside. We stored some our unopened sodas and water bottles there, along with some of our snacks that didn’t need refrigeration. We had to store it somewhere, and having it under the edge of the awning had it out of our way, safe from insects, and storing it inside wasn’t taking up room inside. PLUS, …….. it was advice from another experienced RVer. That way, if we chose not to open our door to someone we didn’t know, we were locked inside, (semi-safe), there was “something” for them to steal if they were determined or desperate, or if there was some type of emergency and they needed water, it was there. It was just a safety measure we put into place, but luckily we didn’t need it. ………..and, of course, most true RVers wouldn’t touch it, anyway. I am going to use that idea too! No way would my service dog allow me to open the door. I agree. I have a fear of being on a jury for a capital case. My shadow of a doubt vs the next persons shadow of a doubt. Am I predisposed to think one way based on my political beliefs or my religous beliefs? And then when they conflict…what? I just read this morning in the local paper a man was held for a year and a half waiting on DNA results…guess what, no match. How does that man ever get back his life, and remove that stain? I have very strong opinions, but when it comes to my family, my strong opinions will allow for exceptions. Oh this mortal coil…..
Well, that would be a dilema, wouldn’t it? I don’t know that I could turn away anyone who was hungry or thirsty. What if that was your son or daughter? Figure of speech Sue…I am not directing this at you..per se. Wouldn’t you hope and pray that someone might take pity and help them? I am not Hispanic, but have nothing against them. Also it is not my job or duty to police the illegal immigrants. I would not let them into my trailer/rv, but I think I could spare a bottle of water and a sandwich. There’s so many considerations to think about, it might be hard to just “do what Jesus would do”. Since I would be a woman alone, as you are Sue…that would be a consideration. I carry and know how to use a firearm, but, a lot of boondockers do not. Other considerations would be if you have a man/partner with you…or a fearsome dog. Linda in Benson, Az. I was confronted with a similar situation while 4-Wheeling in Anza Borrego mid-week a couple years back. I was heading up a side canyon when suddenly I see a group of 10-12 immigrants scattering up the sides of the canyon wall obviously startled by my presence. I say in broken spanish something to the equivalent that its’ OK I am just passing thru. Suddenly they all stop and start heading towards me in my Land Cruiser. At this point I am thinking, “OK that was stupid!”, I am out here solo and I have a dozen men coming towards me looking very desperate. Turns out they just wanted some water (this was late spring early summer and hot), so I complied as well as giving them a few tortillas and some cheese. I live in San Diego and am very familiar with the border controversy. My choice was to help them out. It’s a wonder you haven’t come across this situation sooner. When I think of a specific group of people in the abstract, I have one opinion. When I meet people face-to-face, especially children, I form yet another opinion. Right now, I am just relieved that, briefly as a teacher, I retired before I had to “report” “illegal” children to the school district — in other words, my livelihood vs. the education and future of a child. That is a tough decision, one that gate guards in South Texas are faced with from time to time. We did not have illegals come through our gate…at least not that we saw. I had one friend (a single woman) who encountered one when she went out her 5th wheel door and another two or three came out from behind her trailer. She called Border Patrol. I have neighbors originally from Mexico and another set from El Salvador. they are all here legally. I could not ask for better neighbors. they came for the American dream and to gi e their children a better life. they speak English and they pay taxes. Most in this area illegal or not are here for the same thing. they have the same dream that we have. To live in safety, with a stable government and free education for their children. how can you help but admire that. they come to a country with a different language and customs to start new. it is more than I could do. It would seem not much different from the choices made when runaway slaves needed help during the 19th century. What to do? And Im not comparing these cultures just the choices. I know what my response would be.without a shadow of a doubt. I do believe that people are inherently good. Have I been burned, sure I have. But I’ve been rewarded far more frequently. And I’ve also made the decision to not live my life in fear. Water, a sandwich and if I had an old sweatshirt to spare, that too. And if the masses emerged from their shelter in the desert, I would take care of them, too. We’re not wealthy by any stretch,but we do have far, far more than these poor souls. We’d find a way. Besides, it is the right thing to do. These people who violate US law are not immigrants, they are illegal aliens. If someone spent months of hard work planning a bank robbery, should they considered a hard working person, just trying to make a better life for themselves? Agreed! And, many of these illegal aliens will end up stealing from the taxpayers once they start having children on US soil and collecting WIC, free school with free lunch, food stamps, etc. This isn’t a dilemma, but a no-brainer. Assuming my cell works in such an area, I’d call the police in a heartbeat. I don’t assist people who attempt to rob me. I agree. People your kindness is costing you much more than a bottle of water and a sandwich. We’ve been lied to by our government for years that illegal aliens do jobs that others do not want to do. BS. My husband’s profession (construction work) has been undercut by illegal aliens that are willing to work for half the price, and employers who hire them to make bigger profits – by avoiding to pay unemployment insurance, FICA (SS, Medicare, etc). Illegals are not paying taxes, but collecting welfare, medicaid and food-stamps. They can collect all of this because they are not documented employees. So we pay in many ways, taxes ($2 Billion in MD every year), jobs, resources (i.e., a seat in the public university – UMBC for example). In the state of Maryland, their illegal children get free secondary education too! Maryland is a blue collar town – it is so sad to see good solid families suffer. Men who want to work, eager to work, cannot support their families nor provide health care for their children. A final thought. My ancestors came to America and learned to speak the language and did not receive hand outs from the government. They were not a burden on the citizens, they were productive and added value. I would provide water, AND call the Border Patrol. Sue, a nicely balanced piece…My POV is they may be illegal aliens, but they are people in need first. For some it may be a dilema for me it’s not……..I would give them water and food their life may depend on it. I wouldn’t invite them into our motorhome either. Would I call the Border Patrol to notify of their presence……..I’m not sure. I worked for the federal court in AZ and have seen the good and the bad sides of this problem. Still I could not turn a thirsty, hungry and cold person away without helping. I would hope someone would do the same for one of my kids. We lived in AZ so are more familiar with the issue of illegal immigration and now in KS, even more so. It is a complicated issue and a hotly debated one for good reason. I would have to say that I don’t know what I would do but would know when the situation presented itself – just depends on the circumstances at that moment. As everyone knows, the more they speak of allowing a “path” to illegals for citizenship, the more that cross in illegally. The problem is in the “politics” of illegal immigration. It is a sad situation. Sue, don’t remember if it was your post or one from The Bayfield Bunch about Rick, your neighbor on Darby Well Road last year? He mentioned several illegals came up to his campsite and of course the question was “OMG! What did you do?” And he calmly said, “I made sandwiches for them. It was Christmas”. Loved that story. Ohh, what a tough delema…. I am glad you brought this up, and with a very balanced view. Although I had never considered the possible alternative of leaving an ice-chest out with needed water and snacks, I think it a very good idea and I’m glad someone came up with it. That would be wisdom on the RV’ers part and yet also not turning away others in need. So glad I read this …..
My gut reaction is that I would keep my doors locked but roll down a window just enough to hand out whatever water bottles I have on hand. What I would really do is yet to be determined. I hope I’m never put to the test. I don’t mean to change the subject, but is that a cave or abandoned well in that picture with Bridget? I would be afraid she would fall in and I would never get her out. It’s the beginning of what looks like a mine shaft. It only goes in about six feet without a drop and then ends at a wall. Nice of you to be concerned about the Bridge. Those are Prospect Holes that didn’t show much prospect ha. an interesting read. what would you do? Sorry, Sally, I’m not going to say. I appreciate your interest in my opinion, but I’ve been burned pretty badly in the past on this blog. I’m going to sit this one out. It’s interesting to read the comments of readers. oops…I thought I was forwarding your blog piece to my husband. I do understand your need to decline. Don’t blame u for not commenting on this touchy one-I remember the last time. It’s so easy for people to say what they’d do in certain circumstances til they get there. It would be difficult for me as well….we all want to “do what Jesus would do” but must consider personal safety. I’m just not sure that a woman alone should open her door to anyone she doesn’t know, not just potential “illegals”. I say trust ur gut and don’t second guess urself. When I first read this post, I thought uh oh, this could be bad. But, most of these posts have affirmed my faith in humanity. I like the idea of the cooler, I like that some would consider, “What would Jesus (or Mother Theresa, or Gandhi or Buddha, etc.) do?”. I like that people would put the politics aside and help a person in need. What would I do? I would use my intuition, keep myself as safe as possible and share what food and water I could. If we can’t speak the same language to understand each other, I cannot just assume that the person is illegal. Our system of government is supposed to be based on “a person is innocent until proven guilty.” I am not law enforcement nor am I a vigilante. I would hope that if I were ever lost in a foreign country, hungry, thirsty, cold and desperate, that someone would help me out even if it were only a glass of water. I do believe in Karma and what we put out there comes back to us, whether it’s positive or negative. How could I possibly turn away someone so hungry and thirsty that they risk their freedom in asking for help? If I did so, I would lose my own humanity. Sue, Thank you for the thought-provoking post. OMG; I hope the people in question helped them. I wish you had said what the outcome was. I think you can kinda tell by the person’s demeanor if they mean harm or not. I think it is doubtful that a person even in desperate need would “steal” provisions left out…they would probably see it as some kind of set up or just respect your property. Most rv’ers have firearms and that is well known to even illegal aliens…..the fact that they knocked should say something. I am no pollyanna and definitely not stupid, but I think I wouldn’t stop to analyze the situation, just help if I could. In the small villages in Mexico, it is common for strangers to knock at each other’s doors for help and if an American is in need in Mexico, I think most Mexican people would help. There are hundreds of stories of Americans breaking down in Mexico and of people coming out of their homes to make a point of helping. I would sure help these people before I would be suckered into panhandlers in the U.S.
Sue, I encourage you to say what happened in this case; WHY NOT? To answer your question at the end of your comment . . . If I told what the couple did or did not do, they might receive criticism. Overwhelmingly my readers are kind and polite people. However, occasionally a really hurtful person will surface and lash out with no consideration for feelings. I told the couple about my blog. They might look up my blog and read the comments. I wouldn’t want them to be hurt. Besides, I think it’s better to keep the focus for each of us on what WE would do. Given how close you are to the border, I’m surprised you haven’t had a first-hand experience yourself, Sue. I don’t know how I would deal with it. 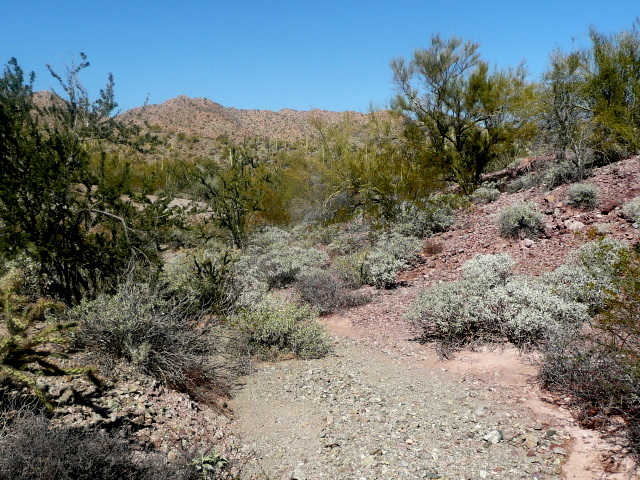 But I sure like the idea of leaving bottled water outside at ALL times; it would be for anyone in need …a lost hiker, an illegal alien, whoever. My mother was in a similar situation. She was sitting on her patio by her trailer near the edge of the desert. One afternoon a man came up out of the desert & asked for water. He had money in his hand to offer her which she refused to take. She could see he was tired, thirsty, hungry. She told him to sit down. Gave him water & fixed him some food. She then sent food & water with him. In broken English he indicated he had someone with him in the desert who was afraid to come out. She did not turn them in as she felt it was just her duty to feed the hungry and give drink to the thirsty as Jesus taught. The man was grateful and went on his way back into the desert heading north. If I was by myself and there was a knock on the door by anyone, especially in the middle of the night, I would just die of a heart attack and would not have to make a decision! I am a ‘fraidy cat. Having spent five winters exploring Mexico with our motorhome, we now have several Mexican friends and we think we understand the Mexican people a little better. To answer your question, we would give him food and water and send him on his way. I bet you have had many good and generous experiences with your Mexican friends. As a widower of a Legal immigrant (British Citizen from Pakistan) who became a Naturalized Citizen I would have no problem calling Border Patrol. I am constantly amazed by people who dismiss the “illegal” part of illegal aliens. Why have a border if we are not going to enforce the laws? And yes I watched my grandmother feed many hobos as our homes lay between 2 railroads, however the likelihood of those being illegals was slim as we were in Arkansas. Most illegal aliens are illegal because of corrupt govt; both the US and Mexico, so they have little choice when they are starving and helpless in the own country. Sorry to hear you feel that way. Yes some Mexicans live below the poverty level…some Americans do too. How do you think Canada would feel if poor Americans slipped over their border and started collecting all the benefits that they could get? Well, we have that problem, not just from the US but from so-called “refugees” that travel thru safe countries in order to scam the Canadian system. It’s becoming a hot political potato now and the loopholes slowly being tightened. Most Canadian taxpayers are pretty mad about it. I differ with you. u must know very many illegals. they do send their kids to school, but they do not get most of the free benefits, because they are afraid of being caught. but they do work and they do spend that money in the community. Maryland is a sanctuary state. They get all the benefits and they tell the others. Our population is growing by illegals. Casa de Maryland support the immigration heavily. They are well informed! Marylander’s are moving out; those that stay are heavily taxed. All the benefits going to the illegals cost MD tax payers over $2 Billion a year. That’s billion with a B. We have spent a lot of time along Darby Wells Rd, and have never seen any “illegals” there. But we always left water outside for them just in case, someone came by that was thirsty. Tough question, but having lived in CA for many years and now in TX, my experience is that they are family oriented people looking to work and send money back to their family. Usually I’ve seen the pictures of them sitting down looking docile when the Border Patrol rounds them up and sends them back home. The “badass” drug runners aren’t the average guys coming across the desert that would be looking for a bottle of water or a bite to eat. They are much more organized and not carrying pot through boondocking campgrounds. I have no judgement on what your friends did in their situation. I am more comfortable supporting our neighbors to the south than I am shipping manufacturing jobs to China. I’ve really enjoyed your blogs of late. You seem to be more comfortable and social these days and your pictures have been great! My 80yr old mother has lived in SE AZ on 5 acres about 8miles from the border for the last 32yrs. My dad and her always provided food and water and directions if the illegals came by the house and asked but never transported them nor called the border patrol. Every one was polite and grateful.. In fact one old Mexican slapped his young grandson on the side of the head when he didn’t say gracias to my mother! The BAD guys don’t ask for assistance, they run their drugs under the cover of night or far away from people so they don’t get caught. She has been a widow for 3yrs..there are other widows living down there by themselves..they are smart, careful and have several loaded guns close by if needed and my mother is an excellent marksman. However the only thing my mother has had to shoot since they moved there were rabid skunks! I would help the illegal human to survive with water and food then call the BP to let them know of the illegals in the area. Humanity and legality are both served with this action. Sue, this is such a thought provoking post. My black & white gut reaction is now in question. After thinking about this for a while I’m of the same opinion as the OFM. The OFM and I are on the same page. If I had not found a Comment that said what he has I would have been posting something similar. These are fellow human beings in desperate need who only want better lives for themselves and their families. I would help in any way I could, of course! Very good question………….and certainly one needs to know their “decision” when you camp in areas where the situation may and most probably will arise. I like the cooler idea…very clever! I don’t see why handing him a bottled water and something to eat before sending him on his way would be frowned upon. The Border Patrol can catch up with them further down the road…so no I wouldn’t notify them. Now.. if 20-30 of them showed up at once, I wouldn’t be so inclined to be so helpful. 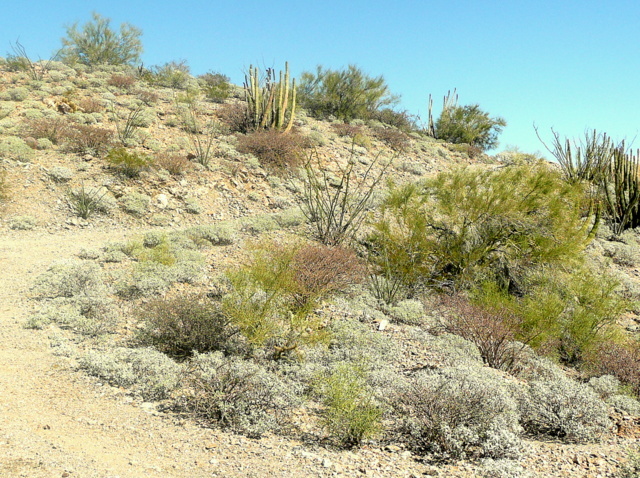 RVers flock to Ajo and other destinations that are known routes for certain individuals. IMHO- the problem is….if some decide to be generous and a pattern is established….do they then think it’s okay to approach any campsite for offerings? ?….do they then get angry at someone who doesn’t? Or are they like panhandlers….some are agressive and some passive? Kind of like giving the panhandler a little something so your tires don’t get slashed or your car doesn’t get keyed! On the same note…if someone came to my house…looking desheveled…I certainly wouldn’t open the door. Interesting comments. I do love the idea of leaving water out at all times, but saying that leaving something in a cooler so they would have something to steal rubbed me the wrong way. I’m not in the situation that my friends in the border states face everyday, but I’m the kind that would leave a crate outside with water, perhaps a sign saying, “Take if you need it” and hope for the best, but would that be all that they would want? Good topic, Sue. BTW–these are my opinions and do not necessarily reflect the opinions of the blog owner. I am certainly happy that I’ve never been put in that situation, and Pray to God I never will be. You’re right, it’s a damned if you do and damned if you don’t situation I can do woithout. Sue, interesting that you posted this today as I was thinking to my self yesterday almost the same thing..I have wondered if you have encountered any thing like this in the past. I am enthralled by your “boondocking” on your own and am pretty sure that you are safe and can handle situations that arise. My parents camped their first year of retirement in the same area you are in and were well prepared as well. Great question to pose. I like the leaving the food and/or water at at night. Food for much thought Sue……………I am sure I would not like to be faced with that situation…….don’t know what my decision would be!!! It would be nice if this was as simple as some would like to make it. I am not sure how one can compare this situation where kindly Mexican citizens help out a lost American unless you meant to indicate the Americans were in Mexico illegally. Lost and illegal are not interchangeable. I would certainly give water as the gate guard did but I would call then call the Border Patrol. Other countries have laws they enforce (often with much less compassion than our Border Patrols) and that is fine with everyone but when the U.S. does it, we are “not compassionate”. Border states are drowning trying to support all the extra people who want services but don’t contribute to the cost. Schools are failing because they are overwhelmed. So be compassionate but don’t add to the problem these states are already dealing with especially if you are also a guest in this country. And, especially those who are solo travelers, keep in mind that not all that cross are poor, innocent travelers. So be safe, be compassionate, but stay legal too. As a start, I would never boondock in an area so close to the border. It’s just too dangerous. Yes, it’s nice to feed the needy and I am all for it, but don’t underestimate the power of desperation. Do you know that little grandmas in Phoenix are regularly stabbed in the guts with a screw driver (yes, an ordinary screw driver can kill and so far not under any gun control law) and bleed to death on a parking lot just for few bucks at the bottom of their purse or a cart of groceries? You people with your sandwiches are playing with fire, OMHO. Plus leaving food outside will disturb wildlife. And yes, there are bears in Arizona. And tossing a bottle of water through the window? do you think a flimsy RV door will resist if someone really wants to go in? It is illegal to leave water jugs in the desert. A Tucson guy thought well and was jailed for it. Those who illegally cross the border know what is the risk. It’s their choice. And quite frankly, is the grass here that much greener than on the other side? I’ll call border patrol. Because this is the right thing to do. They won’t mistreat them. They will give them water, food, medical care and send them back. Until next week. But once again, I will never put myself in this situation and/or dilemma. There are enough nice places in the US to boondock without having to stay near the border. Maybe these places are colder and it will take a few more propane tanks until spring is here, but it’s a small price to pay to not end up feeding the vultures in the middle of nowhere-Arizona. PS: I am a legal alien. Sue, I hope you speak a little Spanish. Definitely worth the effort. Here in South Texas we see a lot of people coming into the country for a better life. I always help these wandering souls. We are all family. I agree Ray. I think anybody boondocking in these areas needs to spend the time to speak and understand a little Spanish for the least amount of communication. Hey there are “Apps” for that. It’s hard to believe how a simple comment / bit of news can bring such powerful emotions forth!! This evening has been like reading 30+ mini-novels!! Great entertainment, and it is truly an insight into what others think and feel. ………. YEAH !!! “You picked a great topic!” Bless you. This was waaay better entertainment than than anything on TV!! What a great group of diverse passions!! ………. a great ‘read’. Bless you! I would like to know how some people determine if someone is illegal, do they ask for the passport and ID before calling the BP or handing out the water? It is maybe likely that they are illegally here but why assume it automatically. It is not my duty to patrol and police around, let the professionals do it. I would definitely help a person in need, all I know for sure is that they need help, I do not know anything about their status in this country, nor is it any of my business. Awesome post, I am glad I got to think about this before actually running into the situation myself. I wondered the same thing.I will have to remember to carry my birth certificate with me if I’m ever in the desert and go for a walk just in case I get lost and need help from someone. I would hate to have someone assume I’m an illegal immigrant and let me die of thirst. I had a little trouble getting back into the U.S. when I couldn’t find my passport at the Canadian border. They pulled me aside until I DID find it, and I expected as much. Caucasian is a category, not an entitlement. I’ll gladly show it whenever asked (outside the U.S.) “But I’m an Aaaammmerrricaaan!” is a big part of the Ugly American stereotype. Respect everyone’s laws, I say, or work and change injustice. Should be easy…someone wandering (?) around in the desert with no car/bike no money unable to speak English, I guess they might be a lost foreign exchange student??? His name was Fleming, and he was a poor Scottish farmer. One day, while trying to eke out a living for his family, he heard a cry for help coming from a nearby bog. He dropped his tools and ran to the bog. There, mired to his waist in black mulch, was a terrified boy, screaming and struggling to free himself. Farmer Fleming saved the lad from what could have been a slow and terrifying death. “No, I can’t accept payment for what I did,” the Scottish farmer replied, waving off the offer. At that moment, the farmer’s own son came to the door of the family hovel. “Is that your son?” the nobleman asked. “Yes,” the farmer replied proudly. Someone once said, “What goes around, comes around.” You never know who you are going to help. We must find Christ in every person we encounter – even on this blog. As we approach Easter, we must be mindful to show compassion to others, whatever our political motivations. These poorly educated people are being brainwashed by their own government to come to our country and do, well, whatever. It’s difficult to know what to do but we must consider our options before we are faced with these situations so that we may react reflectively, compassionately, and what is objectively, morally correct. Sue, you remain in my prayers for your safety. And, oh, did I mention that my parents were Cuban refugees from the early 60s? They were allowed to enter legally and made a life for themselves, noting that speaking the language of your new homeland and focusing on education would be avenues to a decent life (and they are conservative Republicans, though that shouldn’t surprise anyone, right?) – two graduate degrees and Ph.D. work on the part of their daughter (and grandchildren) have proven them right, though I’m not so sure that they would agree with my more spiritual view of this situation. We must all live with our own consciences and decisions. I signed up for RVsue&Crew on Kindle and after playing with it for a hour I went back to Amazon and cancelled the subscription. No great comments from Sues followers on the Kindle blog! Mick, I never thought I was here to please you. Gayle… I think you misunderstood Mick’s comment. In his last sentence Mick is saying that the version of my blog that is transmitted to a Kindle does not include reader comments. Since reader comments are such a great part of his enjoyment of my blog, he cancelled the Kindle subscription. Knowing Mick, I doubt he took offense at your comment. Hey, all of us have our moments of misunderstanding. I would have helped them out, if they were bad people I doubt if they would have been knocking for very long. The illegals are here only because we hire them at slave labor wages with no benefits, supply versus demand. If we did not hire them, there would not be a supply of them coming in. Same with drug cartels in Mexico. The only reason they exist is because they want the lucrative drug market of this country. Again, supply and demand. If we didn’t crave drugs as much as we do, there would be no supply and thus no drug cartels. I am not an ugly American believer, this is the greatest place on earth to live. But I do like to take a step back and analyze the root cause of a problem and be unbiased in determing where it lies before having a preconceived notion. Drugs are flooding into our country through Mexico and Mexican Nationals are flooding into our country. Why? One big reason is to undermine our population. Our National Sovernty is at stake. Drugs destroy the basic family unit. The US Government is not only allowing this flooding but are in cahoots with the Drug Cartels and corrupt Mexican Officials. This is a secret agenda to destroy us and our country.. Why? Because we are the only country still standing in the way of the New World Order. We are only 5 % of the worlds population and yet we still hold them off because we are armed. Mexicans are not allowed to own firearms so you can see how they are under the boot of the Mexican Government. It is hard for Americans to understand what I am writing here but take a look at where we are now and look at what is happening. Life is so awful in Mexico that our country is being INVADED and it is by design to destroy us. Our government is not OURS any longer it is run by the Global Elite. Obama is a yes man and obeys orders from this Global Elite. The people we vote for are put in place by these International Communists that want to run the world. They can’t do that, not yet but they are winning this war because they have the power. But we have the right…on our side. Will it be enough? Very true. Our country has great international pressures from UN, IMF, WHO, International Banking, etc., that are indeed stealing our sovereignty. Just google “Obama Executive Orders” and notice what he’s given to these international organizations and police powers over American citizens. Most don’t understand because they are very busy trying just to live in this economy. Read the book “dumbing down of America” written by a Jimmy Carter appointee when he created the Department of Education. She couldn’t believe the documentation that she discovered while in office. Her book shares the documentation. And we wonder why we live with a lot of people that seem to live with their head in the sand and yet attack others that speak the truth. I do not intend to be offensive. It’s frustrating to be on the receiving end of the attacks. Not from the readers on this site though. I hesitate even adding my thoughts, but I read Sue’s blog all the time, and since she asked, i’ll add my thoughts this time. Well, if a hungry, weary dog came to my door, you bet I would give it water and food. Would I give water and food to a hungry, weary human being? No question about it. I attended Sunday School as a kid, and, to me, it’s crystal clear what Jesus would have done. Now I am wondering just how many little old ladies are regularly stabbed in the belly with a screwdriver? I will wear an old-fashioned girdle when I snowbird in Surprise. I enjoy your blog, Sue, but you are a much braver woman than I am. My dog would look to me for protection and rarely barks except in a joyful moment. Patricia’s post gave my husband and me our best laugh of the day. “Grandma’s are regularly stabbed to death in Phoenix with screwdrivers”, regularly! It is amazing how the police and the news know nothing about these regular killings…… I can find 2 men stabbed like that, in the last ten years, but… Grandma’s stabbed REGULARLY!!! I am still laughing.. Great post Sue, I’d side with leaving water bottles out on the table, but not food. No use attracting any wildlife that might be dangerous to the crew. Continue to enjoy your adventure! Highway 8 is now the unofficial border. The US Government has put up signs warning US citizens to be aware of the dangers of drug runners and slave trafficing in this area. Our country is being invaded and the Border Patrol can not stop it because they have no teeth to bite these invaders. Here we are fighting in foreign countries where we are not wanted and being invaded here at home. What’s wrong with this picture? The answers are to be found in the secret societies that control the world. They want a New World Order so World Wide Communism can take over. This secret agenda in not taught in schools, you won’t hear about it on the 6 O’clock news either. Read David Icke and learn how this world really works and who is behind it. Aiding and abetting…an illegal entering the country is against the law. I would never enter another country illegally. Emotions cloud the issues but I have learned to look at facts only and would not engage in illegal activity along with other people engage in illegal activity. As I tell my children, you are responsible for your actions…if you get in trouble, you get yourself out of it especially since they are grown adults. These illegals (grown adults) entering the country are responsible for their own actions. If they hear people help them as they enter and encourages them, how are they ever going to become legal law abiding citizens (they’ve already broken the law by entering illegally)? From the get go, they have not earned my trust if they entered illegally. If illegals need help, I’d call the border patrol. Arizona has dealt with too many illegal criminals who do not respect our laws. This sort of illegal activity has encouraged other criminal activities i.e. human smuggling, detaining illegals against their will (on the verge of enslavement), child smuggling, etc. I am all for immigration but illegally. I would like to think that the generous woman out in the desert who has helped stray dogs find a home, gone to great lengths to help them be reunited with their owners, and feeds the birds whereever she goes when she could spend that money on herself instead, would have given the thirsty man some food and water. After all, we never know when we may be in a similar situation, and I like to believe humanitarian kindness transcends borders. Only that is not the end, unfortunately, and the sooner our country gets all (or most) of it’s citizens on the same page the better off everyone will be. Not an easy accomplishment, but it has been done before. I do not attempt to present a solution, but sure would seek wisdom from our elected officials. Leave out water with a simple sign that says GRATIS which means free but if you see them it is your duty to call authorities. #1. They are lawbreakers and #2 they may be in danger due to their lack of preparation. The desert is just that, a desert. I am married to a 2nd generation Latin imagrant and her family are the salt of the earth. One of her brothers and his wife believe and preach the philosophy of ” Reconquesta ” Yes it means just the way it sounds. This philosophy is taught by someone in just about every University in California. This is not tin foil hat stuff. This is real. Be kind, be charitable but be educated.We live in they only country on earth that is called evil for feebly trying to secure our border. Mexico is a truly abundant place with great resources not just the Northern wastelands. The govrnmt is corrupt and the elites are the problem not US. Nancy Pelosi was born and raised in MD, where I am from. Her father had her transported to and from private school in his limo. Very elite family. Not at all in touch with the American people. Remember “we have to pass the [healthcare] bill before we can show you what is in it”. Arrogance? “Imagine it’s you looking back at him. The above statement sets the scene for being labeled as either selfless or selfish. “traversing a thousand miles seeking a better life” gives this person a quality he/she may not possess. Do we know that’s their intent? I would think it could be dangerous to make that assumption. “or do you figure he’s a criminal” — of course he is; he broke the law by being here illegally. He may or may not attack you, but that doesn’t negate the fact that he’s breaking the law by being here illegally, which leads to a question of what other laws may be easily broken in the name of making a better life? I’m not unsympathetic to those who want a better life, but there’s a right way to do it and entering a country illegally in order to circumvent that process is not the way to go about it. BTW – my grandparents “traversed an ocean” to become US citizens and make a better life for themselves and their children. Legally. I know most people want what is best for their country, they want to be obedient for a law. But you just simply can’t say that anyone wondering the desert is illegal immigrant. Oh, and we are all for them having a better life, as long as they don’t do it here? What does it take away from us? Most hard workers you see here mowing the lawns and fixing the roads in searing heat (I am in TX) are surprise surprise Mexicans. They are hard workers and this country has benefited so much of them. How do they come here legally? Marry your kids? Apply for a job from Tijuana? There is hardly any other way. They only want what is best for their families. Sure we wouldn’t enter another country illegally, why would we, all everybody else wants is here… do you see us trying to desperately enter other countries? I do not have much, but if someone is down in their luck and desperately needs help, I am sure I still happier having even less than I would be knowing that they were sent back to misery. Especially since I am not an officer and have no means raid peoples ID’s and nationalities to find out why are they here and if they are legal or not. You don’t have to support illegal immigrants, just support humanity and give some water for a thirsty one. Are there enough jobs in Texas for everyone? Whose job did that illegal alien take? Now that American father cannot feed his children. It seems compassion for the white father is never a consideration. I’m for the white father. I would never turn anyone down who asked for food or water in the desert. I would most likely contact the BP and let them know that there may be more in the area. I always have my S&W with me so it wouldn’t be my safety I would be worried about as much as the person I was trying to help. I’ve read all the comments and if I allow it, they could easily make feel bad simply because I’m a man and have lived my life based on what is right or wrong without getting emotional. Helping someone break the law is wrong. Helping someone survive by giving them some water and food is the right thing to do, and so is then reporting them to the Border Patrol. Mostly I could feel bad because so many women are physically fearful of me, and God forbid if I criticize something they say or do… The physical fear isn’t only if I were to show up knocking on their door, it is anywhere they see me and other men. My being 6’4″ and 235 lbs doesn’t help, it makes even more women afraid of me, although I’m 70 years old and look it. For most of my 70 years I would have gladly laid my life on the line to protect any and all women, and there were a few times that I did that. I also protected some men. But not so much the last 25-30 years. To me many women today don’t deserve my help while they teach their children to not trust men or respect their opinions, thoughts or on average, our admirable actions simply because we are male. All the while many women don’t want to be judged on their character, thoughts, actions, or lack thereof. The fact is that the majority of men would not harm a woman and yet many women would not open their door to help most men. That’s really sad. If those women thought it through, they might realize that if most men wanted to harm them, most men can break down that RV door unless you overpower them physically. The best way to do that is to defend the 2nd Amendment to our constitution and exercise your right to own a gun, and actually get one and learn how to use it. Problem is, I believe that most women are afraid of guns (and those of us that own them or defend the right of others to own them) so they will side with the silly idea that the US would be better off if there were no guns. The fact is that more people are killed with fists, hammers, vehicles, knives etc. etc. than with guns. Another fact is that the citizens of the US have many millions more guns than any other country but ranks 27th in homicide by gun. Listening to our media and some government officials, we mistakenly believe we are the murder capital of the world and our women are constantly under physical attack by men. I think it is past the time that we all should be questioning why most of our the media and some government officials are lying to us while they defend unknown numbers of illegals crossing our borders while suffering no consequences. BTW, my wife is a legal immigrant. Perhaps their extreme level of poverty and their desperation to merely survive prevents them from applying to legally immigrate into the US. Perhaps the laws of the US are too onerous, restrictive, or expensive for an oppressed Mexican. It’s so easy for Americans in their comfortable homes and lives to sit in judgment. I do believe that relieving the suffering of our fellow man is paramount. Don’t judge until you’ve been where they are. I agree too that it’s the Mexicans who are doing the dirty, low paying jobs in the States, the jobs that Americans won’t do. When you eat YOUR next meal, consider who sweated in the fields to grow it and harvest it for you! I’m afraid that some here are uninformed at what those people must pay to be guided across the border and into Tucson or Phoenix etc.. It can cost them up to $2000US. Now desperate people, let alone “oppressed” people might not be so desperate if they used that money for something other than to enter the US illegally. Also, it is not just Mexicans that cross illegally, there are many from other Central and South American countries. And since they don’t get to travel free, they must be able to save enough for up to like a 1000 mile or longer trip. As far as judging…. if our economy continues to decline, many of us will be worse off than them because we don’t know how to do without, and survive. But I have been down to my last $200-$300 more than a couple times in my life. And if I were them, I’d continue to do what got me the money for the trip instead of spending it on the trip.. I guess many of us have not seen the cable TV show on DirecTV called Dirty Jobs. It ran for a couple years and returns later this month IIRC. We watched it and mostly there was a white American male doing the jobs although there were some black or Hispanic men doing some of them. There were many white women too. And the jobs weren’t just dirty, most were filthy and rarely heard of by the public. I suppose some of us mistakenly believe that if the illegals were able to hear of those jobs they would be dong them. Well put. Our government and main stream media have been putting that lie out there for decades. My family has experienced the truth of the matter. The construction business has been obliterated by the illegals by undercutting the hourly rate. They don’t have to pay taxes so they can. They are not living on subsistence wages. They understand what they are doing according to the documentaries that I have watched. Please know the facts before you pass judgement. Poncho Villa invaded Columbia New Mexico and we sent the US Army after him to teach him a lesson. What lesson are we teaching the Mexican Nationals now as they invade our country? They literally get away with Murder. I had a friend who knew a rancher who helped the Illegals with water and food. Last year he was found murdered and the tracks led back to old Mexico. Some of his property was then found in Mexico. His family finally gave up the fight and sold the ranch. They moved far away from the border. Our country is being INVADED pure plain and simple. It is not our fault that the Mexican Government is so corrupt that they allow the masses to starve and live in filth. There is a revolution coming, but it won’t be in Mexico…it will be right here in the USA. How much longer are ‘We The People’ going to stand for this? I wish somebody would ask the MEXICAN GOVERNMENT what they think of this situation. It certainly seems like you have kicked the hornets’ nest here. It’s a good plan to step back after you have done that. But my, isn’t it interesting to watch what happens? It seems that you have responses that run the gamut of possible dilemmas for a human: moral, legal, and practical. Will people be fearful or courageous, selfish or selfless, or will they hide? Throw in gun control, human trafficking, child slavery, drug running, conspiracy theory, patriotism, communism, secret societies, and even sexism; you have pushed every hot button there is! Whew- I’m so exhausted by all this, I think I need to wander off and ask somebody if they can spare a bottle of water. Good post Sue. Leave water out, just in case. A good idea. By the way, our next door neighbor in one of the many towns we have lived was illegal. I was asked to do their tax return, which is the only reason I knew that she was illegal. Her husband was legal. I refused to do the tax return; I could have received a $5,000 fine and had my license taken away. They were very nervous that I would turn them in. I did not. But I provided flash cards for her young daughter as an education aid. We attended gatherings at their home when invited. When we first moved to this home the wife did not speak English. When we moved five years later she did speak English. She was also a naturalized citizen and gainfully employed. I have great respect for the family. We need to change our immigration laws. Gosh what a difficult situation. Well I have to admit I would probably give them food and water since I cannot refuse help to a fellow human being in need like that. Whether I would call border patrol thereafter I really can’t say. Interesting replies so far…Everyone is entitled to their opinions and beliefs….certainly when it comes to politics, religion, guns or any topic for that matter.. individuals have their reasons. Is it right? Wrong? Who knows? Who is to say? As long as you can look at yourself in the mirror and live with the decisions you make (regarding anything)…that’s all that matters! humm lots of interesting comments, if the gov was doing its job this wouldn’t be happening, cut off all welfare and free benefits, patrol the border, send them back and send the bill to mexico gov. start charging the mexican gov. make the process of legalization easier and less costly. feeding them and helping them is only encouraging more to come over and frankly we cant afford any more mouths to feed (collectivly) so the gov keeps crying that were super broke. anyway each person must make their own call, now what would i do? hummm, give water/pop because of the sugar, that is all. send them back, call border patrol. you can tell if someone is illegal, if they can’t speak hardly any english that is your first clue second is they are in the desert half dead and begging for food and water, which you wouldn’t usually be doing if legal (after all you would at least have a cell phone even the most poor here have a cell phone to call for help) most likly they would be following the road not the desert sands, the road would expose them to the patrols legal people do not fear the patrol (well at least worry of deportation thing). I am sorry they are having it hard in their country but that is not our responsiblity (I cannot control the gov either) in fact if the gov and united nations really cared about mexico they would be trying to help them develope their own wealth producing acitivies like factories or better farming methods better pay for their work that sorta thing. they would stop being creeps and start working out their own problems, of course they will use the you don’t care about the poor, sick, hungry card to make you feel guilty that you don’twant to share your stuff (in this case by force) with the less fortuant while they themselves have mansions and yachts and the like and refuse to share theres. I think there is a term for that, hypocrisy maybe? or guilt transferrance? any psychologists out there know the term where you accuse someone else of something you are yourself? The Mexican government is corrupt to the core and it trickels down to the cop on the beat. Legal justice is a joke in Mexico. The cops work hand in hand with the organized criminals because that is where the money is and the power. Mexico has had plenty of revolutions…does it change things? Nope, because crime is a way of life down there. When the Sun starts to go down in Mexico city women are whisked off the streets and put under house arrest for fear of being kidnapped. We don’t hear about the Slave Trade in the USA because we are kept ignorant of the world outside our bounderies. We are put to sleep by our own government and the media that is controlled by the Global Elite. The Communists said back in the 50’s that “we will put the west to sleep and then we will strike”. Our government is as corrupt as the Mexican government because all the governments are controlled by Secret Societies that want to bring in the NWO New World Order. Read David Icke and WAKE UP AMERICA. Case in point if the roles were reversed. What would I do? Probably assess the person and decide to go from there. I hope I have not become so hard hearted as to turn away a fellow human who is hungry or thirsty. If children were involved it would be “a no brainer”. Great article. I spent one summer as a teacher’s aide working with migrant worker’s children. They were mostly Mexican. They were the most giving and loving people I had ever met. They would literally give you the shirt off their backs. 100 comments, already! Yikes! I didn’t take the time to read them but I’ll post anyway. Chances are that I would give the person water, possibly food, ask them to please return to Mexico, say goodbye, then call the Border Patrol who will at least give them a ride back to the border. In northern AZ and NM and into UT and CO, we have had numerous native Americans knock on our door etc. asking for money, food, a ride or if we wanted to buy things. Some of the things were very nice. We gave to some money or food and denied others. We learned that if you give, the word spreads fairly soon and more show up and that happens more frequently. IMO if there are any people that we should feel sorry for it is the native Americans. Some people feed the birds and stray dogs,I bet they would feed a hungry human. Some people don’t feed birds or stray dogs,they may not feed a hungry human. Now the person that feeds birds and stray dogs then runs off a hungry human,now that’s just not right. No, that would not be right, but I certainly didn’t see where anyone here said that’s what they did. Thank you for posting this. I, too, have thought of this question and wondered what I would do. I think I now have my answer. We are about 4 days from starting out very first boondocking adventure and love learning from your adventures. You’re welcome, Bruce and Sheila. Best wishes for a wonderful first boondocking experience! LATER… I read the last few posts of your blog. I recall the same excitement and last-minute flurry of activity before “hitting the road.” Thank you for mentioning my blog in one of your posts. I always put our personal safety first. If I were camping in Ajo and someone wandering through the desert knocked on our door for water, I would first size up the risk. If the risk was acceptable, I’d open the door and assist. If the risk seemed too high, I wouldn’t. I trust my intuition. The immigration aspect of this encounter would be irrelevant to me since there is no way I would know someone is illegal or not just by looking at them. I’m more concerned about time of day, numbers of people, their physical size, body language, and their apparent condition. If we were already outside when the encounter occurred, I’d probably act casual and try to help get them back on their way as soon as possible. If the person was showing obvious signs of heat stroke, I might even bring them into the Casita to cool off in the AC. That doesn’t mean I put my guard down. It’s always up. Correction: If someone was showing obvious signs of heat sickness, I WOULD bring them in to cool off and hydrate. Dehydration and heat stroke are very serious conditions. I would probably call 911 to get them help if they were in really bad shape. Christless SOB’s” these folks are and yet get that others (more informed and noble) know that all of us deserve equal treatment live under the basic tenants of our creator who says All of us are created equally. Shame on you fearful folks who are both ignorant and live in fear. Thankfully the tide is shifting toward tolerance. Inclusion will win ultimately because that’s the Truth! @ Kathy L (fraidy cat)… too funny. @Gary, I agree with you. @everyone else… I wouldn’t feed or offer drink. Why encourage them to break the law and cross borders? I would help them however by calling the Border Patrol. Let the BP temporarily feed and shelter them, as well as offer up transportation. (glad my folks aren’t alive to read this). I remember reading about someone who fed someone else that was un-invited and starving years ago. I think that was called the first Thanksgiving. Next thing you know, these un-invited folks turn into a bunch of lying, treaty- breaking, land grabbers, who forced the indians off their lands, and tried to wipe them out. Those who forget history are destined to repeat it… or something like that. Wow, that was such a loaded post that i waited till now to read the comments. I can understand why you stayed out of it Sue. Really though a very good topic and some interesting reading. My family works construction in the AZ heat. I’ve seen the effects of heat stroke and how quickly the onset. I would have to give the water. About 158 people died crossing into our state last year I would not want that on my conscience. Now if it was 30 people sitting in a drop house and i notice they are unloading more people into the garage I’m calling it in. We have a winter rv lot near the border in deep South Texas. We love the locals here; what a warm, friendly culture! Border Patrol here is a constant presence. We had them come to speak to our neighborhood, and the specific question was asked should we offer them water or food. Even the Border Patrol agent said yes, that’s okay, so long as you also then call us. Our situation is different than being alone out in the desert, because we wouldn’t want word to get out that our neighborhood is a safe pass-thru to get help, so I don’t hesitate to call Border Patrol in this situation. My heart bleeds for these folks and if out alone in the desert I would definitely use the cooler-with-water outside approach. I would have a tougher time calling Border Patrol in that situation, but would probably still call them. Sue, I am really glad for your blog and its content and lack of opinion… I have wondered many times about this (mainly for your safety). I don’t really know what I would do, or how I would react. I have my personal opinions (legal vs not, moral vs not, scared vs not). I think each situation is different. It is interesting too, to read others opinions and thoughts. I don’t always have to agree with folks, but gosh this is such a hotbed. Sometimes ya just can’t win! I think your approach is perfect. I have noticed a lot of people condemning others for their decisions, or else making blanket statements about illegal immigration, rather than sticking to the questions that rvSue poses — what would you do? If the person knocking at my door was on his/her last legs, I’d feed him & give him water — certainly if they had children. To not do this would go deeply against my religious beliefs. I do believe that I will be judged one day, and that any law that forbids me to give relief to a dehydrated / starving person would be judged immoral by whatever God / Force judges me on that one day. Now I do know that they may have put themselves into this position, but for me, the death penalty is for murderers and other heinous criminals; I would not participate (through choosing neglect) in the death of a person for crossing the border illegally. However, my next step would most likely be to call Border Patrol. It’s not even a question of legality at this point for me; if this person (or people) were to continue to wander in the desert after I had given them water/food, they would face a likely death. I suppose I could ferry them on to a safer place, but then I am making a decision that could affect me legally for people who I don’t know, and who made choices I don’t necessarily agree with. Now my blanket statement — there are a lot of things wrong with the way our Southern border is policed, and it’s not just a matter of building a wall. Right now, an illegal immigrant can pay a few thousand and be brought over the border with risk. They can pay a few more thousand than the base rate and be brought over the border with much less risk. My partner is Brazilian and we know of a few people who have paid the fee and gotten in this way. The corruption that allows this is not only in Mexico, but is on the US side as well. I would love to see this corruption dealt with, but cross border smuggling has made many people powerful over the centuries. Look at the Roosevelts and Kennedys and the fortunes their families made smuggling booze over the border during prohibition. Sad truth — people can always be convinced to look the other way if the payoff is big enough. I love how you handled this situation from a blogging perspective, as you are damned if you do and damned if you don’t when it comes to blog readers at times. 🙂 I’m sure that what I would do would depend on many factors, including the number of individuals, whether they were male or female, had children with them, etc. I hope that compassion would win out over anything else, but honestly I won’t know until I am faced with the situation. Awesome question. I got no answers either. Only more questions. Such a tough situation so thanks for getting us all to think about it. We live a nation where over 2% of the population is locked up, the largest percent in the industrial world. Prison is a growth industry. I thought of that as I read the replies. What would I have done was the question. No idea is the answer because it’s a situation I’ve never been in. Easily the most interesting blog page I have read to date. Sparked so much discussion, here at home and at work where I shared the question as well. Thank you for giving us something important to ponder. And, it hits the nail right on the head of what I asked previously……safety in this area. I read each response completely and took it all in. Thank you for being that platform. Wonderful compliment. Thanks. Obviously a thought-provoking question with no definite, clear answer! Interesting question and I’m sure it also depends if one is out there alone in a trailer. However, I can say that as a teacher of Hispanic children, YES, I would open the door and give them food and water. It’s the DESERT. Even in winter, it is a harsh environment. 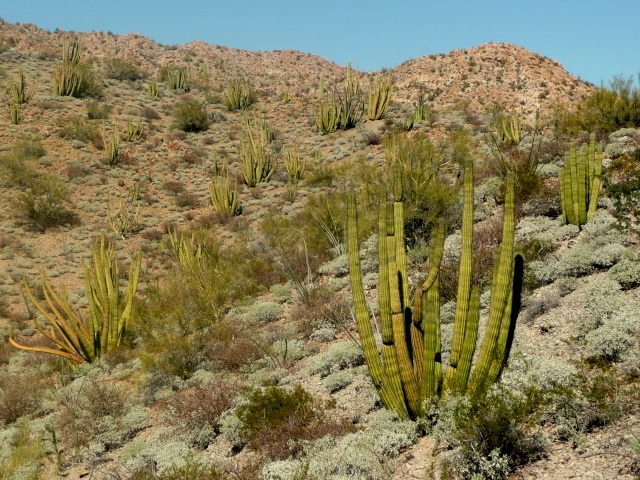 No water for miles…cactus…snakes…wind. The elements are very harsh. I read about folks who perish up in Joshua Tree national park from exposure every year and that’s a national park with rangers who patrol it daily. And, really, how much water can people carry? Water is heavy. Ask any hiker. And, my students, who live AT the poverty level or below, were kind and thoughtful enough to make sure I got gifts for Valentine’s Day, even the little boy who is selling candied apples to help support his family. So, would I help somebody out in the desert seeking food and water? Yes, I would. Now, that’s just MY opinion. But, I’ve lived in the desert for 38 years, and I’ve had heat stroke once myself. It isn’t pleasant and it can be life-threatening. And, also remember, that even in winter, our daytime temps can be in the 80’s or even the 90’s and that’s in the shade. In fact, it was over 80 degrees here yesterday. This has certainly raised a lot of points. I wanted to raise one more. I read an article a while back that said that this massive illegal immigration is adding to problems in Mexico as well. According to the article, there are entire villages in Mexico with nobody but basically old people and little children waiting for money transfers from the US. These villages have no one left to do the things that need to be done to better themselves, like education or small business. The able-bodied have left. The people left behind have a mindset of waiting. This can’t be good for these villages. Obviously, they need help; I get that. I just wanted to share this with the discussion. We’re planning to travel the Southwest in the future, so I’m glad to have a heads-up to give this scenario some advance thought. Interesting, Doris. You remind us to look at the situation from a different perspective than our own.